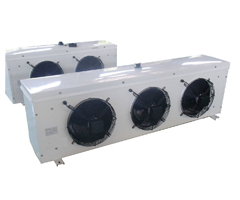 The water defrosting evaporator is the cooling equipment inside the cooler room that is not suited for electric or quick defrosting method. 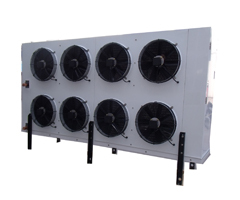 By the temperature, it can be divided into 3 series: DLS, DDS, DJS, each suited for the room requiring 0℃,-18℃ and -25℃. 1. The shell is of good steel plate, with plastic spray surface, which is corrosion-resistant and beautiful outlook. 2. The coil is crossed-arranged, using the mechanic method to expand the tube, which make the copper tube and the aluminum fin jointed closely, to achieve the good heat exchange effect. 3. Water-defrosting method, with quick speed, good effect and less energy consumption. 4. 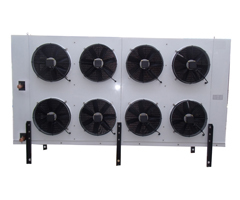 The long distance air or explosion proof motor can be used by the customer requirement.